27th Annual Féile Brian Ború Festival – Killaloe and Ballina - Where to stay. Around the time of the festival why not stay with us here in the village there is always lots of fun to be had – so why not make a holiday of it and stay in our glorious villages!! Spacious family home on 1.5 acres of beautiful gardens, panoramic views, beside Lough Derg on River Shannon, 5 minutes walk to village, pubs, restaurants. Ideal for fishing, water sports and hill walking. Close to Shannon Airport and ideal base for touring mid West region. 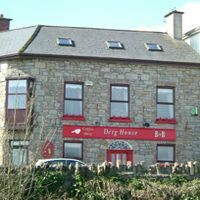 Derg house is a bed and breakfast located in Killaloe Town overlooking the River Shannon. The property boasts six ensuite rooms, three doubles, two twins and one family room. There is a Deli and Coffee shop located on the premises. Tea and coffee facilities and TV in each room. Centrally located with many local amenities. Local free parking available fifty yards away from the property. Contace: John and Siobhan Cassidy, Derg House, Royal Parade, Killaloe, Co. Clare. 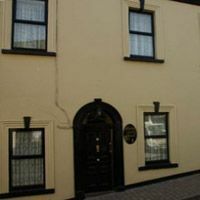 Kincora House is situated in the centre of the beautiful Historic Killaloe town. This is one of the most picturesque area’s of the Emerald Isle with Killaloe/Ballina recognised as Heritage town’s of Ireland. Kincora House is a charming old house and offers comfor able accommodation that is within walking distance of many of the local attractions. Friendly award winning B&B beside Lough Derg on the River Shannon in the vibrant heritage towns of Ballina/Killaloe. 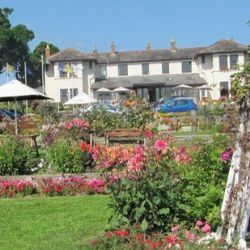 Situated in tranquil surroundings with lovely gardens and off street parking, yet only two minutes walk to lake, amenities, restaurants, pubs, hotels and shops. Shannon Airport and Ennis only forty minutes away, Limerick and Nenagh â€“ twenty minutes. An ideal base for touring and an ideal holiday destination. For a unique holiday by the banks of the River Shannon in the beautiful heritage town of Ballina/Killaloe contact Trudy. On R496 comfortable relaxing spacious B&B in close proximity to Killaloe on river Shannon, private garden. Shannon airport – 18 miles, Limerick University 12 miles. Activities: Hill Walking, Riverside Walks, Watersports, Horseriding, Golf, Fishing, boat trips, heritage town, pitch and putt, traditional Irish music and set dancing. Award winning restaurants and pubs in the area. Super location, close proximity to shores of Lough Derg. Modern and friendly family home, in the tranquil and secluded setting of the picturesque heritage towns of Ballina and Killaloe on Lough Derg. Within 10 minutes walk of the hotel, restaurants, pubs and shops. It is also an ideal base for touring the counties of Clare, Tipperary, Limerick, Galway and Offaly. 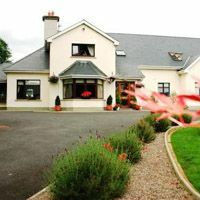 Located 25 miles from Shannon Airport and 14 miles from Limerick City and Limerick University and 12 miles from Nenagh. Private car parking available. 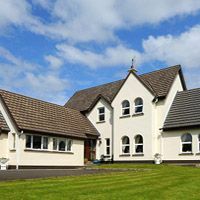 Glocca Morra B&B is a 4 star Failte Ireland Approved Bed and Breakfast situated in Ogonnelloe, Killaloe, Scarriff, County Clare, Ireland, with breathtaking views of Lough Derg, the Slieve Bernagh Mountains of Clare, and the Arra Mountains of Tipperary. Just outside the Heritage Towns of Killaloe and Ballina, only 45 minutes drive to Shannon Airport and 30 minutes to Limerick City. Come and discover the history and majestic land of King Brian Boru, the last High King of Ireland, and follow his footsteps through this enchanted area. 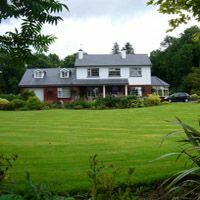 Glocca Morra Bed and Breakfast is a superb location for the peace and quiet of the Irish countryside, with over an acre of mature gardens, and an ideal base for guests touring Counties Clare, Limerick, Galway, and Tipperary. 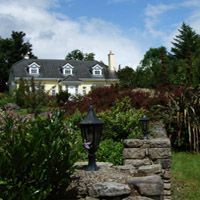 Located on a hill overlooking the bottom end of Lough Derg and Killaloe The Lantern House comprises of six luxury bedrooms, all en suite and with direct dial phones and TV in each room, a licensed bar with an extensive wine list, and a restaurant which is open to residents and non residents. Liz and Phil are your hosts and will welcome you with warmest of hospitality and personal attention at all times. There is a range of different properties available for rental in this holiday village. There are houses and holiday cottages that are three and four bedroomed. The village is in an ideal location fro exploring the lake and its surrounding areas. These modern self catering holiday homes are situated on the shores of Lough Derg just a 10 minute walk from the little town of Killaloe. The properties are just minutes from UL Activity Centre.